He was watching for kids darting out from between parked cars and slowed down when he thought he saw something. As his car passed, no child darted out, but a brick sailed out and - WHUMP! - it smashed Into the Jag's shiny black side door! SCREECH..!!!! Brakes slammed! Gears ground into reverse, and tires madly spun the Jaguar back to the spot from where the brick had been thrown. Josh jumped out of the car, grabbed the kid and pushed him up against a parked car. He shouted at the kid, "What was that all about and who are you? Just what the heck are you doing?!" Building up a head of steam, he went on. "That's my new Jag, that brick you threw is gonna cost you a lot of money. Why did you throw it?" "Please, mister, please. . . I'm sorry! I didn't know what else to do!" Pleaded the youngster. "I threw the brick because no one else would stop!" Tears were dripping down the boy's chin as he pointed around the parked car. "It's my brother, mister," he said. "He rolled off the curb and fell out of his wheelchair and I can't lift him up." Sobbing, the boy asked the executive, "Would you please help me get him back into his wheelchair? He's hurt and he's too heavy for me." It was a long walk back to the sleek, black, shining, 12 cylinder Jaguar XKE -a long and slow walk. Josh never did fix the side door of his Jaguar. He kept the dent to remind him not to go through life so fast that someone has to throw a brick at him to get his attention. . . 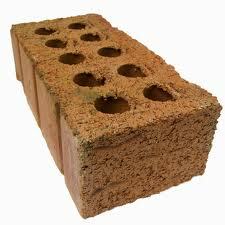 Some bricks are softer than others. Feel for the bricks of life coming at to you. For all the negative things we have to say to ourselves, something bigger has positive answers. This and other great stories can be found in Lt. Col. (Ret) Joe Shusko's book, "Tie-Ins for Life"